Most big chain retailers will try to sell you a new phone and service contract when you bring them a broken phone- Not Us. We know that you have choices when it comes to your device repair and we want you to be happy you trusted us with a no-hassle repair quote. 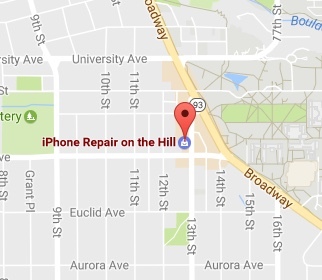 At iPhone Repair on the Hill we strive to help our customers by providing extraordinary service and expert repairs using only the highest quality parts. Of course we love fixing cracked iPhone screens and broken charge ports, but we get our satisfaction from helping out folks who have lost their connection to the outside world. Everybody has standards. Ours are just better. Our goal is to make every customer transcation a positive one! If you are not 100% satisfied with your experience, we will do whatever we can to make you happy. Most Smart Phones REPAIRED the SAME DAY!